Rep. Jackie Speier told CNN her takeaway was that Trump Jr. "has a very serious case of amnesia," and said he was "pretty non-responsive" during the meeting. The interview covered several topics including Trump Jr.'s contacts with WikiLeaks and an infamous June 2016 meeting at Trump Tower that landed the president's eldest son in hot water during the summer. 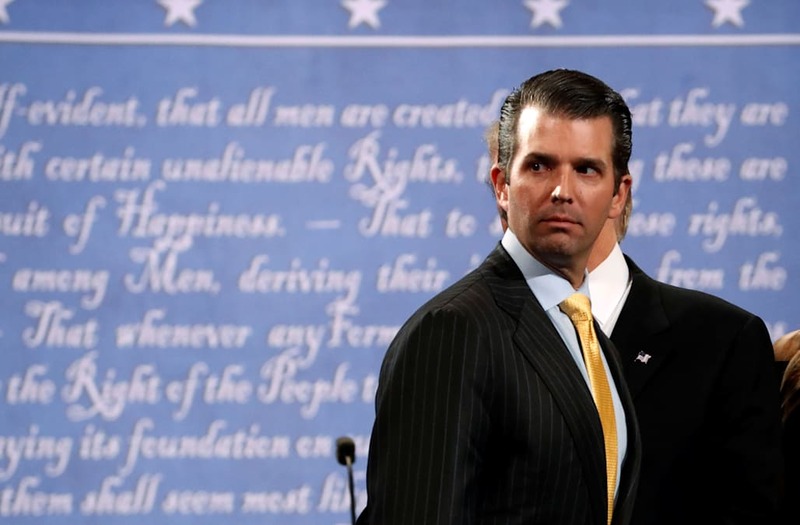 President Donald Trump's son, Donald Jr., was "pretty non-responsive" on a range of issues during his eight-hour testimony before the House Intelligence Committee on Wednesday, according to a Democratic member of the committee. "My takeaway is he has a very serious case of amnesia," Rep. Jackie Speier told CNN on Wednesday just after the lengthy interview ended. "He was pretty non-responsive on a lot of issues that, frankly, you would have a recollection of, considering it was just a year ago that many of these events took place when Donald Trump was the candidate," Speier said. "He was by his father’s side; he was campaigning with his father. And you get the impression in listening to him that he didn’t spend much time talking to his father." Speier added that Trump Jr.'s responses seemed unusually black-and-white. "Lots of people don’t recall things," she said. "But, I would say that there are elements of this where he was very clear and knew precisely what had happened, and then other circumstances he didn’t at all." Committee Democrats asked Trump Jr. about his correspondence with WikiLeaks, but focused most of their questions on the meeting he attended at Trump Tower last June with his brother-in-law Jared Kushner and Paul Manafort, his father's campaign chairman at the time. RELATED: Photos of Trump Jr.
At one point, they homed in on the first statement Trump Jr. issued in response to the New York Times' disclosure of the June 9 meeting. Multiple media reports have indicated that the president crafted that response, which was misleading in that it failed to mention Trump Jr.'s motivation for taking the meeting: to obtain dirt on Hillary Clinton. Democratic Rep. Eric Swalwell said on Wednesday that Trump Jr. invoked attorney-client privilege and "refused to share anything" about what he and his father may have discussed about the statement when it was being drafted. "I think the overriding issue here is, why does every road lead to Russia?" Speier said on Wednesday. "Every business deal, every engagement. The engagement with WikiLeaks was all quite opaque in terms of how it all started, why he [Trump Jr.] was able to direct-message with him [WikiLeaks founder Julian Assange]," she added. "So, there’s still a lot of pieces to this puzzle that we don’t have the answers to." Swalwell agreed with Speier's characterization of Trump Jr.'s testimony as evasive and somewhat unhelpful, and said the Democrats plan to present the Republicans with legal arguments for why attorney-client privilege "doesn't apply" just because — as Trump Jr. asserted — lawyers were present for the conversations in question. But ultimately, Swalwell said, "it's up to the Republicans whether or not to call him back."